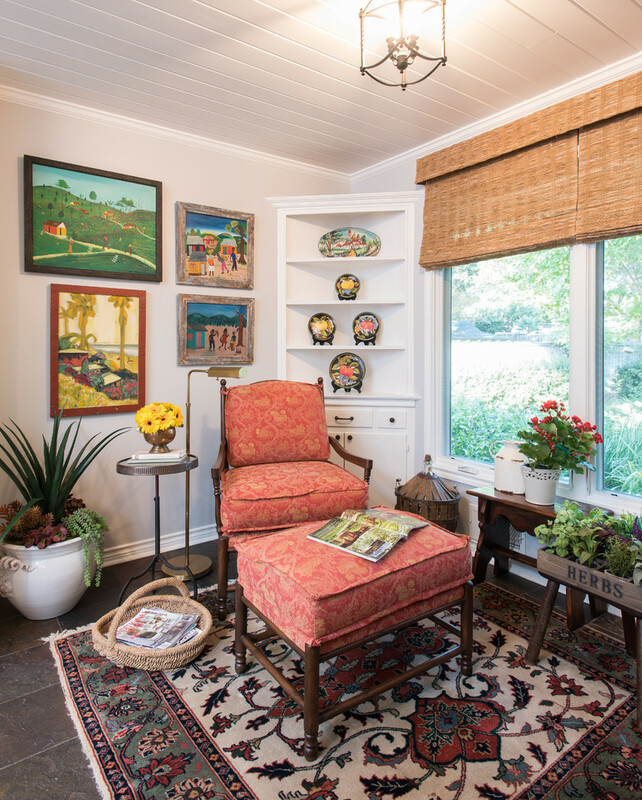 Remodeling projects over several years transform this 1970's Texas home into a center for Southern hospitality. Architectural elements were added throughout to add charm! 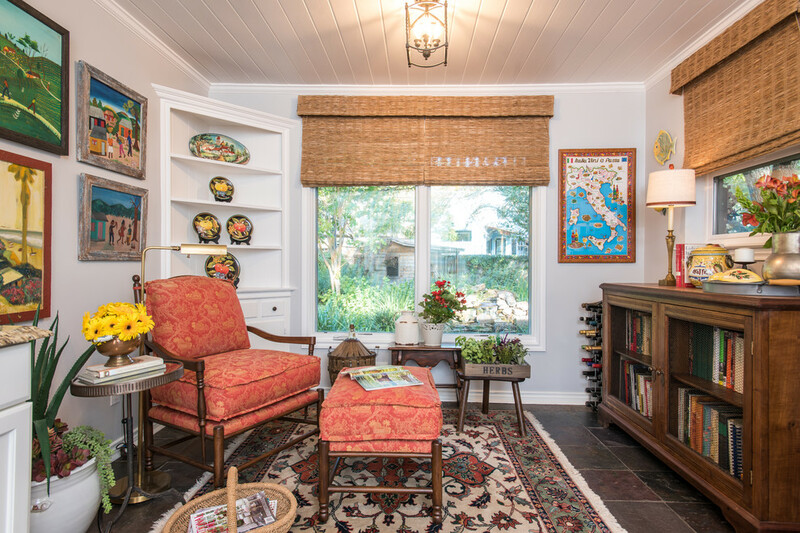 A large window was added to the breakfast area that opens to the landscaped backyard with a fish pond; ship-lap was added to the Master Bedroom walls; smaller wood planks on the kitchen ceiling, and bead-board to the Guest Bedroom walls. The Guest Bath was reconfigured by replacing a small hall to an extra back door with a large shower boasting glass blocks that open up the stunning white marble and turquoise walls! KITCHEN-Seating area. Photos by Michael Hunter. KITCHEN- Photos by Michael Hunter. MASTER BATH- Interior Design and Styling by Dona Rosene Interiors. This Guest Bath was awarded 2nd Place in the ASID LEGACY OF DESIGN TEXAS 2015 for Traditional Bathroom. Interior Design and styling by Dona Rosene Interiors. This Guest Bedroom was awarded First Place in the ASID LEGACY OF DESIGN TEXAS 2015 AWARD for Traditional Guest Bedroom. Interior Design & Styling by Dona Rosene Interiors. Photography by Michael Hunter. This Guest Bedroom was awarded First Place in the ASID LEGACY OF DESIGN 2015 AWARD for Traditional Guest Bedroom. Interior Design & Styling by Dona Rosene Interiors. Photography by Michael Hunter. Interior Design & Styling by Dona Rosene Interiors.